After 25 years of living in Leeds together, newly retired Mary and Gary were ready for a change and excited to begin the next chapter of their lives with relocation to the Cumbria/ North Lancashire border. Having spent lots of time there they believed that this part of England was the perfect setting for a quieter pace of life. Gary strongly felt that he gained energy from nature, so longed to live amongst countryside landscapes where he could explore his spirituality. Mary, however, felt alive when she was near the sea and dreamt of a move to the coast. 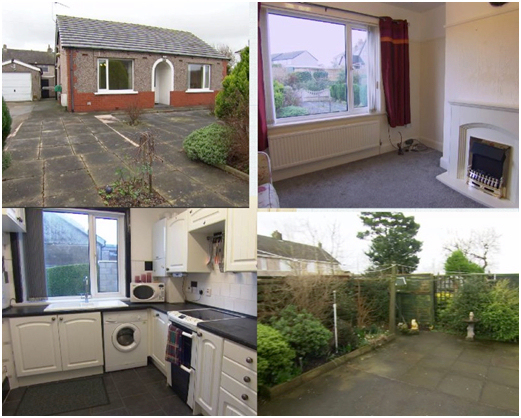 With a budget of £130,000 their requirements included 1 or 2 bedrooms, reception room and a nice garden. A win for Gary and team coast! Both he and Mary were over the moon when they got the feeling they had been waiting for when walking into a detached bungalow in Middleton, just a short drive to the beach. This property had 2 bedrooms, a spacious paved garden and a glorious sunroom from which they could observe the nature around them. This couple were delighted to make an offer of £128,000 for this property and it was accepted.